Last night was supposed to be the night we saw what Gonzaga's men's basketball program was really like. That merciless thumping of Sacramento State didn't really give us any insight, we were told. Well, consider last night's destruction of No. 22-ranked SMU your official introduction to the 2014-2015 Gonzaga Bulldogs, a team so deep in talent that you need water wings just to approach their bench. The final score of 72-56 doesn't do the game justice. 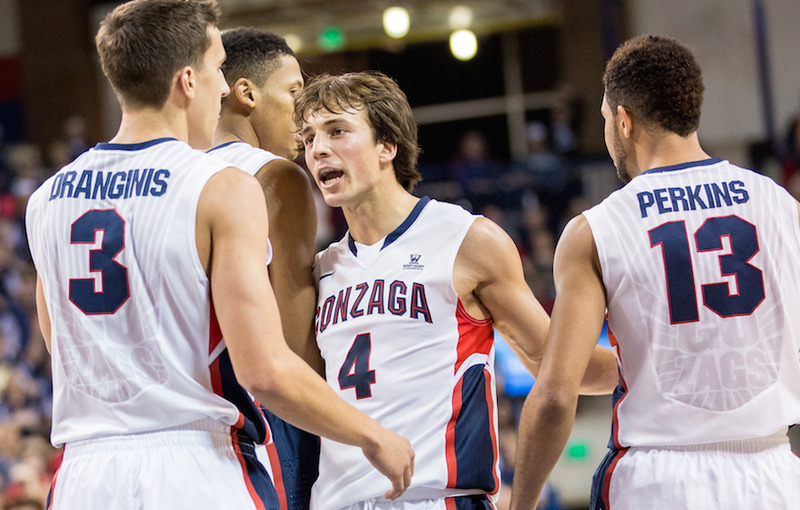 When Coach Mark Few unleashed the walk-ons with a couple minutes left, the Zags were up 71-47. With a national television audience that arrived late to the telecast due to a big overtime upset in women's hoops, the Zags let the nation know just how dangerous they're going to be, as ESPN's Fran Fraschilla realized. It's not Kentucky but anyone else would want United Nations front line of Karnowski, Wiltjer and Sabonis. All do something really well! Here are a few more observations from the game. He never left, but that nagging toe injury made him a shadow of his former self at the tail end of last season. Well, last night he had the Kennel wound up to a frenzy. At one point, Kevin Pangos nailed a three, then about five seconds later dove on the floor to cause a turnover. Somewhere in there I think I saw him save a baby from a burning building and then text a cure for ebola to the CDC. It was hard to tell amidst the mania. He finished with 17 points, seven assists and five rebounds in a performance that seemed even bigger than those numbers. In his senior campaign, it's nice to see the friendly Canadian off to a fiery start. Also, his three-pointers last night were half the reason everyone in attendance got free diarrhea Taco Bell tacos! Sabonis is better than his beard suggests! 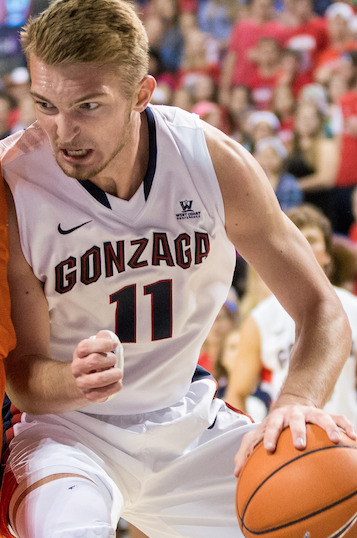 Despite sporting a beard that doesn't quite live up to the established standards of the Pacific Northwest yet is completely appropriate in the discotheques of his native Lithuania, Domantas Sabonis is going to be Gonzaga's next mega star. Evidence to the right. The freshman came off the bench to score 13 points and snag nine rebounds in just 20 minutes of play. He made some silly fouls, as freshman are wont to do, but this dude is the real deal. What's with the guys in banana suits? There were 10 of them throughout the student section last night. Also entertaining was the dude dressed as the pope, a guy in a shorty shorts highway patrol uniform and a group of students who arrived in shirts, ties and dark sunglasses, only to remove said shirts to reveal that their painted chests spelled GONZAGA. Sneak attack! Not entertaining was the kid in the Native American headdress. Look, dude, we've established that isn't a cool thing to do some time ago. Also, no one behind you can see. At halftime, three Gonzaga students came out on the court to try their hand at a half-court shot in the hopes of winning $500. The very first contestant let it rip, and then this happened.